27 available 27 items in stock. USB On-The-Go is a really useful USB specification! It allows some small devices that would usually be unable to act as a host to have limited hosting capabilities! 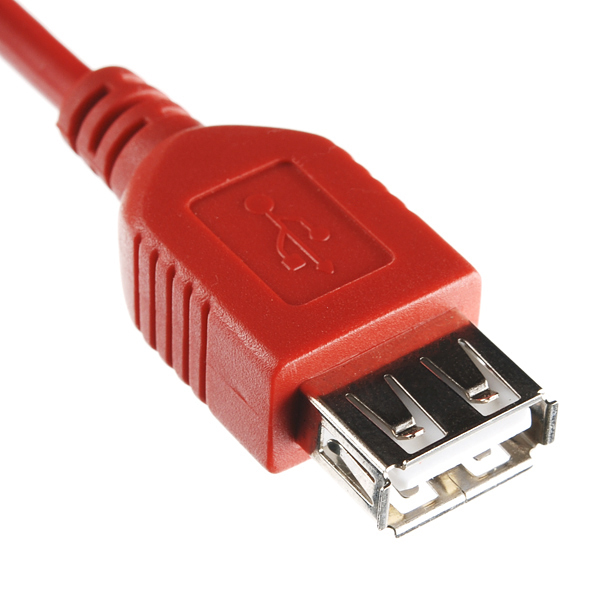 USB-OTG is common for things like tablet computers and smartphones in order to allow for USB peripherals like flash-drives, keyboards, etc. to be hooked up. If you have a USB OTG device, you need one of these Female A to Micro-A cables to act as a host. Remember, not all devices are USB-OTG compatible, so make sure that whatever you're plugging in actually has this ability so you don't damage something! Note: This cable is not compatible with every OTG device. We suggest this part for the IOIO OTG, however, you will want to ensure it fits your device before purchase. The micro-B USB side is shaped in a square. This shape is not the usual "D" shaped micro-B USB connector that you would expect. It is meant to connect to the IOIO development board and may not be compatible with every OTG Device. BE CAREFUL! I looked at this thinking it would work out of the box for most Android phones and tablets but NO! 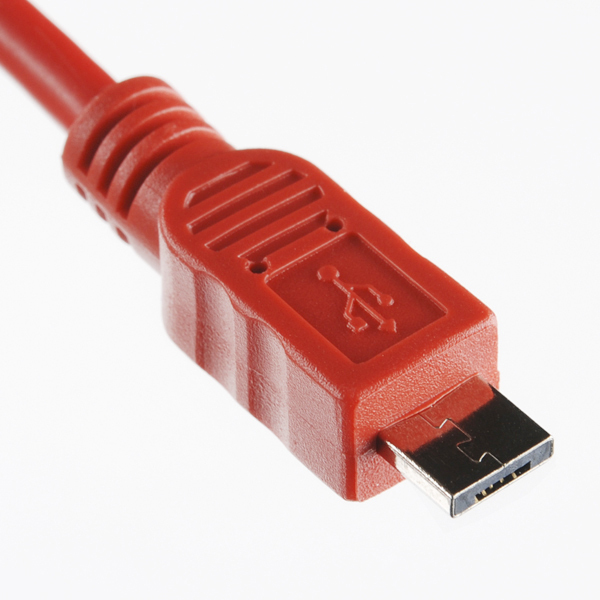 Most android smart devices have USB micro B ports, not micro A ports. It will be better for you and your wallet if you just hack 2 cables into 1 instead of mistake this particular cable for the one you want. If this were a micro B cable, I would gladly buy a truckload and distribute them to my friends. FYI: The micro-a plug on this cable is not compatible with the micro-b jacks on cell phones like the Galaxy Nexus which supports otg but isn't compliant with the standard I guess. Yeah, I noticed that the other day. The cable is compliant, but neither my Nexus 4 or my Nexus 7 seem to work with this cable. So, what devices actually use micro A? I was excited about a Sparkfun OTG cable, then I realized I have never even seen micro A before. Where was this three weeks ago when I needed one!?! Ahh, you've made my day! I've found these to be stupidly hard to find, even though micro USB is pretty much The One Standard these days. This should work perfectly with the Intel Galileo's USB host port. Going to buy a couple. Totally got burned by the "Micro-A" I had no idea there was more than one "micro USB" shape. Bought this to use on my Nexus 7 tablet and Galaxy Nexus phone. At least it was not really expensive! I did the same for the Galaxy Nexus but a couple of seconds on the belt sander was all it took to convert this to a microB compatible plug. Well, I didn't read the description well enough. Micro A... Never seen a device with a Micro A socket. While this might be some kind of standard written on white paper somewhere how is this a practical design? Most people want a OTG cable so they can use their phone, tablet, media player or other device that supports OTG that has a standard Micro B socket that is used for everything. Lucky I already have a spare and maybe i'll chop the sparkfun one up. It would be worth while to do a production run of this type of cable with a Micro-B end (even if non-standard). I would buy two. This cable will not work with the OTG on the pcDuino which has a Micro B OTG connector like Olimex olinuxino WiFi. Bought this by following a link from the pcDuino pages... then got it and realized the pcDuino uses micro B. Not sure why anyone would link to a non-compliant product. Glad it was only $3. is ID pin shorted to ground? According to the datasheet, yes. For now, try this. It also comes with a non-compliant version of the product on this SparkFun page. Adafruit has a proper micro-b cable now so you can support a maker business instead of amazon. This cable from Adafruit works with Nexus 7 and may work with some smart phones as well. Few devices use micro A, those rare times when they do and you want to connect to this is the part, well made and works perfectly. Like the latch, two prongs retaining connector once inserted. With USB A on the other end, can connect to anything with break out boards or onto A or Micro B now popular. Micro side is micro-A (rectangular plug), NOT micro-B (wedge-shaped plug). Research before buying! These adaptor cables are EXCEEDINGLY rare and hard to find, and SparkFun has been the ONLY supplier I've found. Many other cables labeled OTG are not true OTG. This adaptor's micro end is micro-A and is rectangular and will NOT fit into the more common micro-B sockets which are wedge-shaped. (However, a micro-A socket will accept a micro-B plug, in which case, it simply serves as a regular USB port.) What's the difference? As I understand it, micro-A plugs are specifically configured with pins 1 and 2 crossed to signify to the receiving device that it is to be a power supplier, and to act as a USB host. For example, in the case of the Edison, if it boots with a micro-B plugged into it's OTG port, it assumes that you want it to be a slave device, and won't mount any peripherals on the OTG bus. But if you have a proper OTG micro-A plugged in, it will boot in USB-host mode, and detect and mount any attached peripherals. Misleading description; RECTANGLE PLUG incompatible with devices. I mistakenly bought 2 of these thinking it would be like my other OTG USB cables; it is NOT the same kind of OTG cable used for "things like tablet computers and smartphones in order to allow for USB peripherals like flash-drives, keyboards, etc. to be hooked up" as per the product description. Instead it has an incompatible rectangular plug that will wreck your device's port if you try to use it. Upon further research, it appears that this is some other standard, and not the "B" type commonly used for phones and tablets. 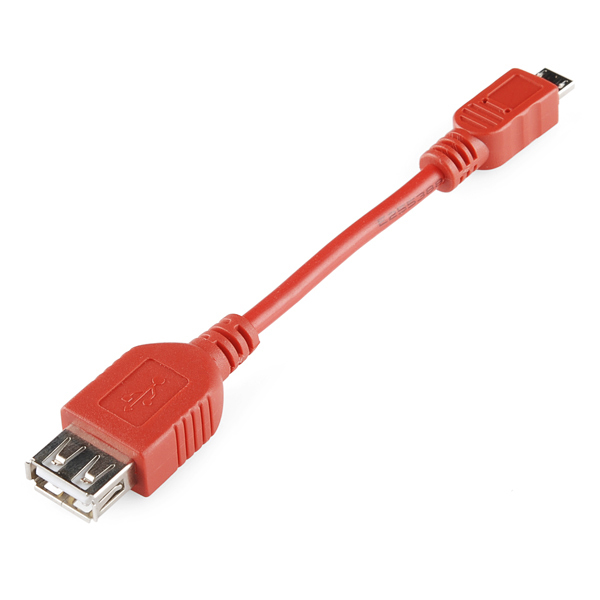 The problem is that Sparkfun does not stock the "B" type - so it is easy to make the mistake of buying this because its the only OTG cable they offer, and in the real world, these cables are just referred to as Micro USB OTG with no A/B designation. If you Google the name of this product - even with "Micro A" designation, all the results displayed are the correct "B" type cable!. I honestly don't know what this cable can be used on; I've never seen it before, but it was a waste of a purchase and I hope this review will help others not make the same mistake that I did. Hopefully they will update the product description as well. Technically my mistake, but seriously... why is this cable even sold?? Micro Type-A makes some sense on a device. It's for devices that default to Host mode and provide power. Primarily, the connector exists from before the OTG spec (when ports were still either Always Host or Always Device). Now with the OTG Spec, Micro Type-A makes little sense from a cable. Both Micro Type-A and Micro Type-B cables fit into a Micro Type-A port. Why even sell Type-A cables? They're less versatile and it just leads to customer confusion. I'd really argue there's no business calling a Micro Type-A to Female Type-A connector an OTG cable. OTG implies using a port in both Device and Host mode (or at least in the non-default mode for the port). But a Micro Type-A defaults to host (and is host-only on non-OTG devices), while a Standard Female Type-A is always a host port. 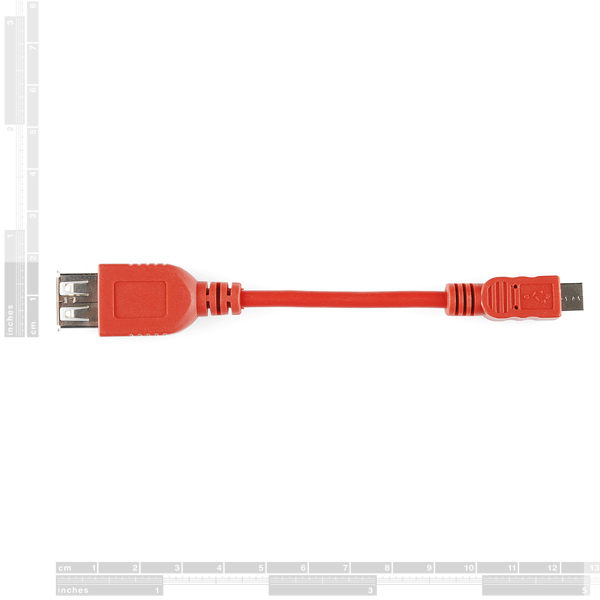 It would make more sense to title this a "USB Host Cable Female A to Micro A". This cable is not compatible with every OTG device. We suggest this part for the IOIO OTG, however, you will want to ensure it fits your device before purchase. You do make a good point on the product name though, I'll let our catalog folks know.